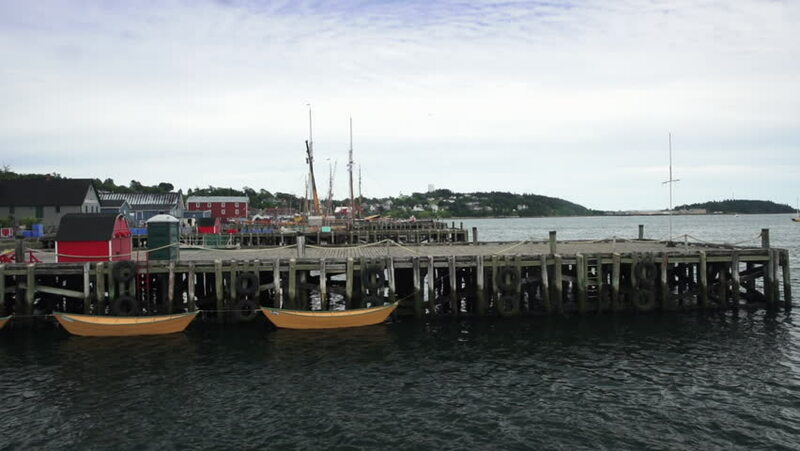 Picturesque yellow dories float against a wooden pier, along the boardwalk of downtown Lunenburg, a small fishing village and World Heritage site in Nova Scotia. Brightly coloured homes are visible. hd00:28Ganges Reflections, Salt Spring Island, BC. The marina in Ganges Harbor at dawn on Salt Spring Island. Gulf Islands, British Columbia, Canada.